With each read-aloud following an initial introduction to theme, I'd ask students to list the possible themes in the book. This allowed me to continually reinforce the idea of theme. Occasionally I went further and asked them to respond to the book by using this chart. In the first column, we'd list topics - one word that the book might be about. Topics are broad ideas like school, friendship, or pets. 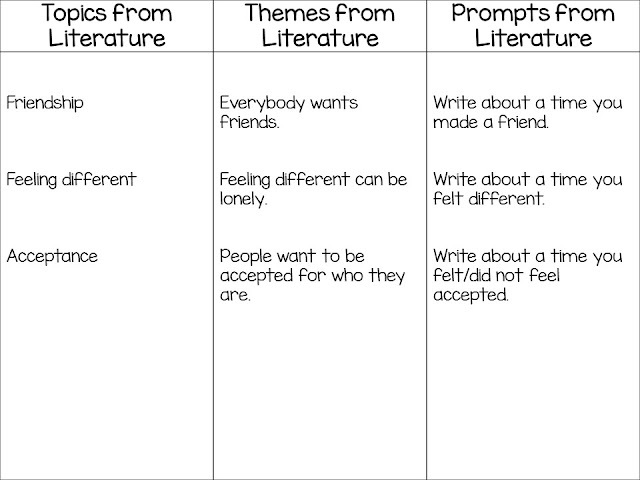 In the second column, we'd list a theme that related to each topic. Themes are statements. Please don't teach your students that themes are one word. That will really mess them up in higher level classes! 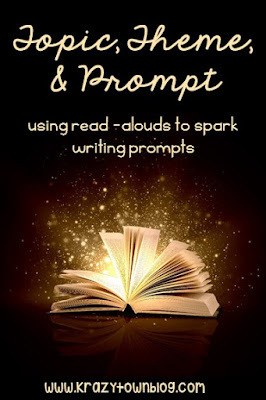 Finally, in the last column, we'd generate a prompt that flowed from the topic and theme. Eve Bunting writes wonderful books for discussion, and this is no exception. The main character is a Muslim girl who is new to her school and doesn't speak English. 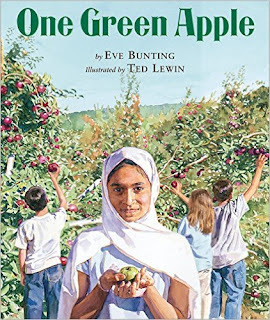 Her class takes a field trip to an apple orchard, and when the apples picked by the students are used to make cider, Farah starts to connect with the other students and begins to feel like she belongs. After reading the book, we completed the chart above. It looked something like this. For the sake of brevity, I only included a few of each element here, although your students will quite likely list more. You can see that the topics listed are broad ideas and the themes are statements. For each theme, we generated a prompt. 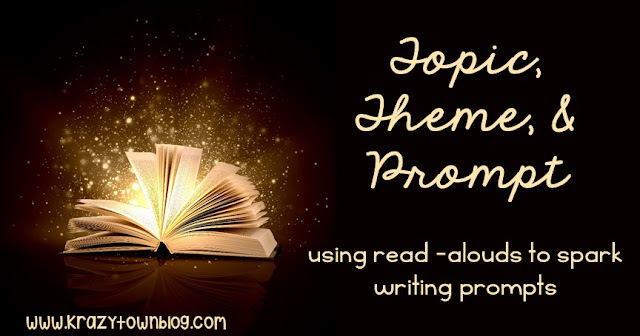 The final step involves inviting students to choose a prompt and write. Sometimes we'd take this response through the writing process and sometimes we just stopped here after having some sharing time. Later in the year, after I'd taught about citing evidence from the text, I'd require that in their response. Students could cite Farah's feelings or events from the book that supported their ideas. Is this something you could try? 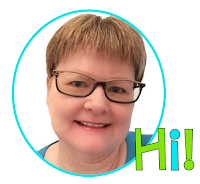 I'd love to hear your ideas about it!